First of all, this is my 300 post! Wow, I never imagine myself lasting this long! And, this will be the fits blog post I give out my original recipe, so please watch my video further down the post to find out all the details. And here's the celebration part, anyone (sorry but USA only) who leaves a comment with email address below will enter into the draw for 3 modified spin swirl soap showed in this post! This giveaway ends on October 10th, 2015. I will randomly draw a winner and contact via email. If you do no leave your email contact you will not be entered. 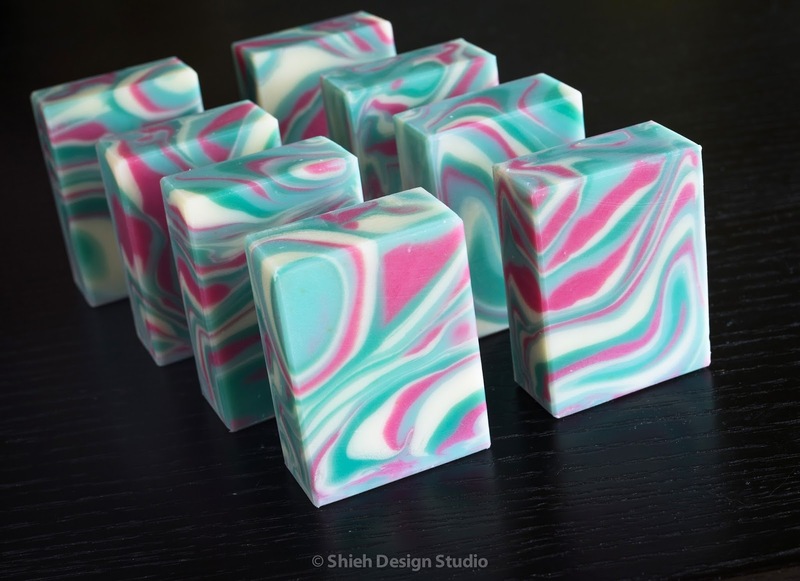 I first saw spin swirl done was from an YouTube video made by a Taiwanese soap maker with a made up name "Mu Lan", here's the link to her original The First “Spinning Swirl Soap” I have no idea who actually invented this, it is not the point in the post. My soaping recipe is usually not fluid enough to flow like the video because I personally do not prefer using high content olive oil. I had a few tries few months ago and had not much success, see my previous blog post if you want to see my "failed" attempts: Spin or not to Spin? Since then I've been thinking about how to improve this technique and put a twist to it to make it my own style. The flaw (if I may say) to this spin swirl is that the slab mold is so wide that the centrifugal (I think I use it correctly) force prevent the center from being moved while all sides are being swirl to a muddy stage. 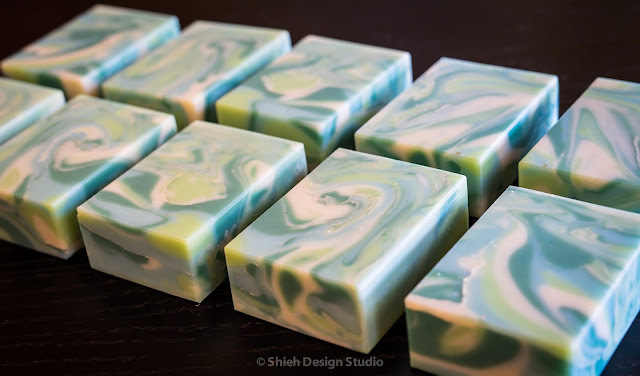 It might look great as a whole before the soap slab being cut into bars, but this bond to have a couple bars at the center that would not appear as dramatic as the others. I care less about a whole look. It would be great if it looks flawless both as a whole and into individual bars. 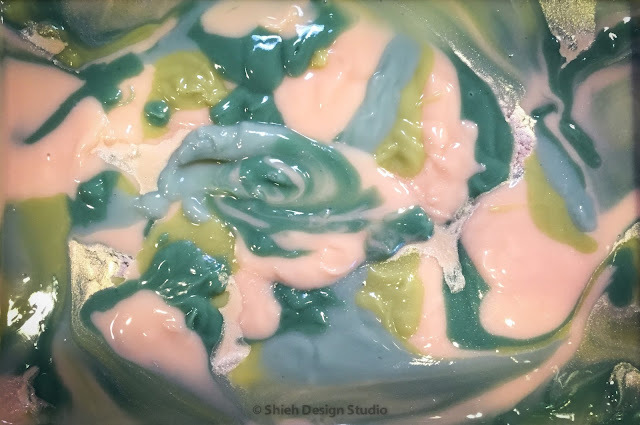 But individual look always takes president in my soap designs, customers buy soap in individual bars, not a whole slab or loaf. Your colors and design are gorgeous, and I appreciate how you share your process. 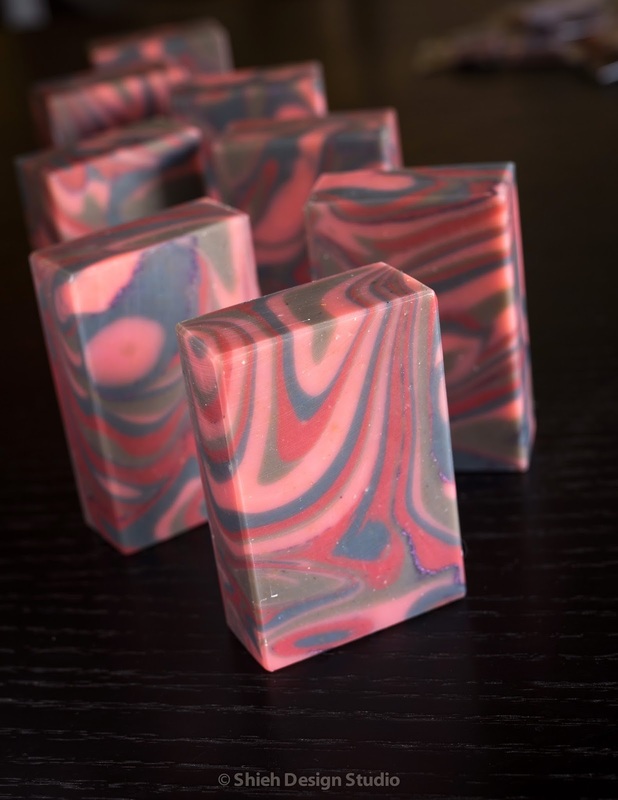 I'd love to win one of your soaps! Please provide your contact email, thanks! 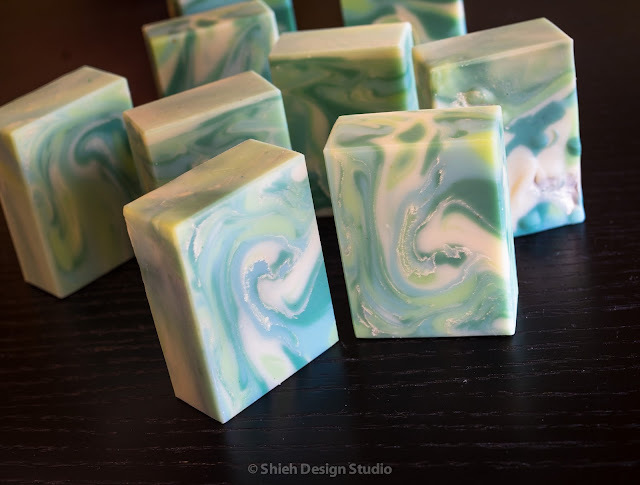 Always enjoy seeing your finished soap pictures and your videos, thank you for sharing. All your work is an inspiration to me. Thank you for sharing! Congrats on your 300th post!! I have read many of your posts over the last 1-2 years and really enjoy them. I gave up looking at them for a while when your weren't posting earlier this year and am sorry I missed some. Is there anyway to subscribe & get new ones in my email, so I won't miss any? Thanks so much! I enjoyed watching both of your videos... 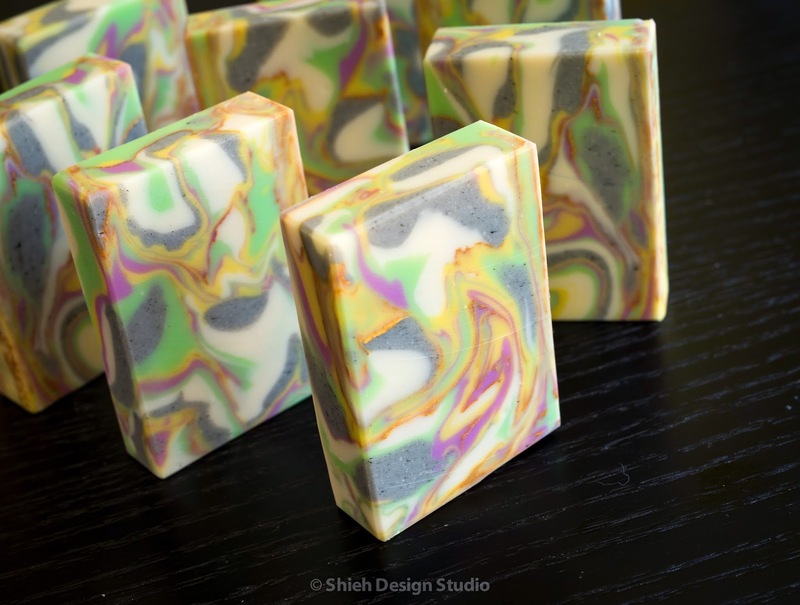 Your soaps are always so beautiful!! I just modified my blog layout and now you can subscribe by email! Thank you for supporting my blog! Sorry, forgot to tell you where the new email subscription box is, it is located on the blog left column right under "About Me" section. Thank you so much!! I should have asked you 2 years ago - I love reading your blogs!